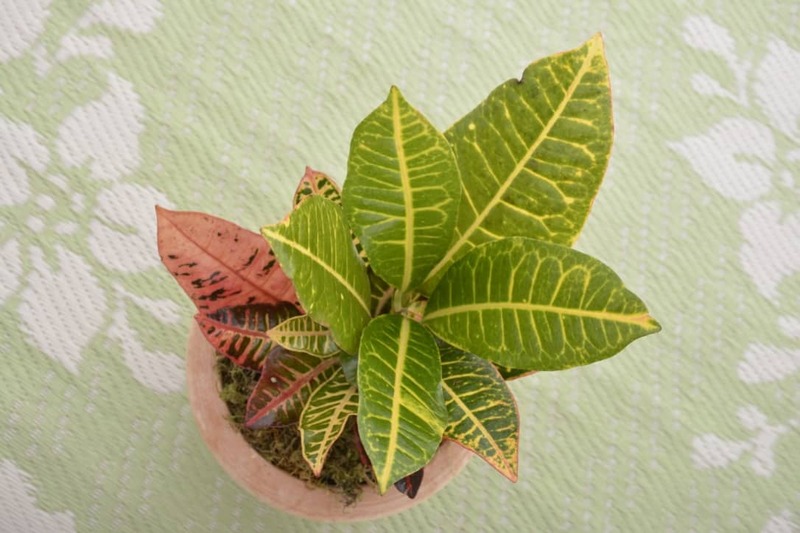 Attractive, colourful, exotic, yet simplistic…the variegated leaves of the croton plant have it all and will add a touch of the tropics to any indoor space, be it minimalist or something a bit lusher. The leaves come in a variety of shapes in colour patterns varying from bright red to orange, green, yellow and even purple. It can grow up to 1m tall, which makes for a striking specimen plant in an attractive container. From autumn to spring, water more often and keep the soil just moist, but not wet. Allow the top 2-3 cm of soil to dry out a bit, before watering. Keep the balance, as they don’t like to be overwatered. In winter, watering can be cut down, but never allow the soil to dry out completely. 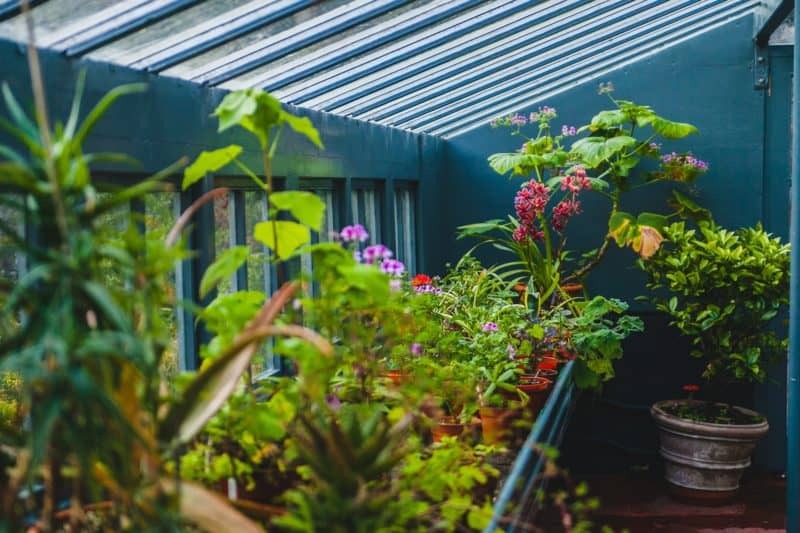 It will also benefit from a regular misting to keep the air around it moist, especially in summer or if the room is heated in winter. Click |HERE| to learn more about watering your plants. Cotons prefer a position in very bright light with a bit of early morning sunlight. A lack of light will result in a loss of colour – the plant’s main feature. They don’t like being moved around much, so try to find the perfect spot for it in a permanent place. Crotons prefer a cosy spot in a warmish room (at least 15°C in winter) and don’t enjoy drafts or huge fluctuations in temperature. During the growing season in spring and summer feed fortnightly with a liquid fertilizer. If your plant suddenly drops a lot of leaves, it may be caused by a drop in temperature, over watering or low light. Cut it back by one third and move to a more favourable position and adjust watering. Wipe the leaves from time to time with a clean, damp cloth to keep them free of dust. Crotons can grow up to a height of 1m if you have the space, or their size can be controlled by cutting them back in spring. When pruned, the plant will release a white sap – avoid contact as the sap may irritate your skin and eyes. 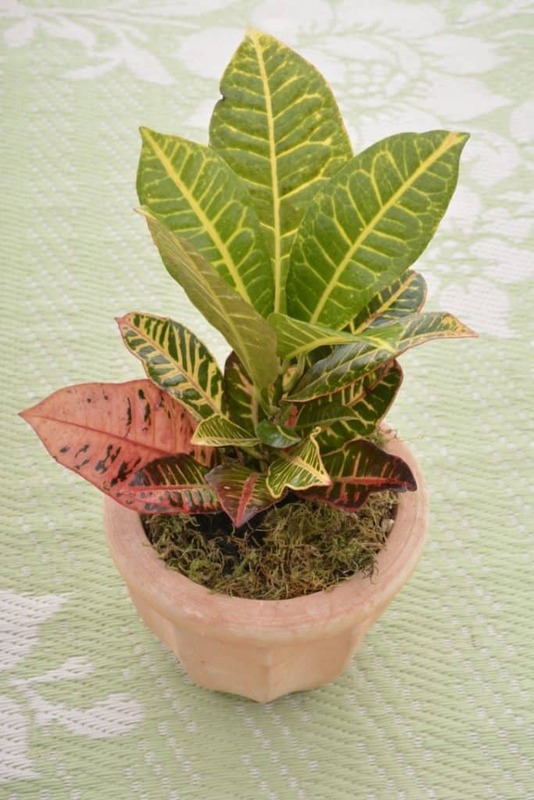 If needed, repot your Croton in spring in a container one size larger than the pot it’s in. Use a well-draining potting soil, combined with one third peat moss and be very gentle when transferring your plant. The addition of water retention granules will assist in keeping the soil moist for longer. Click |HERE| for some guidelines to repotting your indoor plant.